Logic is everything and without logic everything is nothing. That’s how digitalisation and connectivity shape our view of the world. Algorithms, i.e. essentially the linkage of numbers, data and information in accordance with mathematical and scientific principles, provide the framework for “artificial” intelligence, or AI for short. At first glance, it already seems as if there’s no way round AI. Or is there? There’s certainly no need to take such a fatalistic view as Stephen Hawking. The recently deceased physicist anticipated that robots would soon replace humanity entirely, requiring us to classify artificial intelligence as a “new lifeform”. In Silicon Valley, there’s a “smaller” version of AI that nevertheless makes ambitious promises for the future. For visionaries from the Bay Area, cognitive science, digitised human-machine interaction, Alexa, Animoji and Google’s photo analysis are just the beginning, autonomous driving just the next logical step towards ever more comprehensive connectivity. At the end of the journey – which may well lie in the not too distant future – they believe artificial intelligence will have successfully entered every area of life. Ideally, of course, it will be a blessing for humanity rather than making it superfluous. 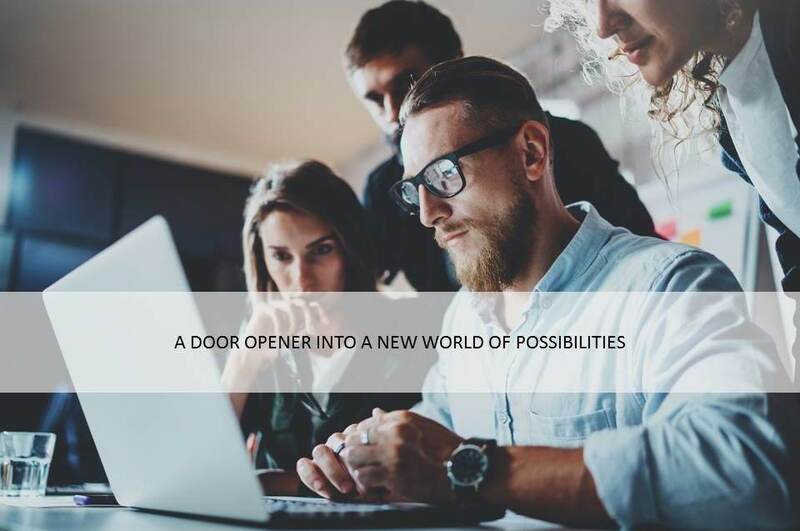 In many areas, artificial intelligence is already a door-opener to a world of new possibilities. When it comes to achieving an optimal campaign performance, for instance. WHITE is already using AI very successfully in order to understand the interests and habits of potential consumers by analysing millions of data points and allocating all sorts of different contexts from consumers’ respective lifeworlds in real time; it then uses the resulting insights as a basis for deriving bespoke, personalised marketing and sales activities. WHITE incorporates five different types of data in its AI analysis: consumer data (age, website visits etc. ), contextual data (time of day, weather etc. ), creative data (call to action, headline etc. ), campaign data (clicks, viewability, frequency etc.) and, last but not least, cost data (spendings per impression, win/loss bidding data). AI thus follows its inherent mathematical and computational logic, while algorithms effectively establish links between millions of potential consumer, contextual, campaign, creative and cost signals in real time, evaluate them and thus make a campaign universally transparent and analysable at any time. Nevertheless, it would be fatal to leave all the thinking to artificial intelligence. There is always a need for qualitative decisions too, which can’t always be readily found in binary code. If, for example, millennials are identified as a very active and attractive target audience in the luxury segment, an automated KPI check will almost definitely focus the AI campaign management on corresponding persona characteristics such as age and education first. However, we know from experience that millennials’ typical patterns of behaviour are more likely to originate from their milieu and environment. And then being a millennial is not primarily a question of age, but a much farther-reaching projection of personal expectations and a preferred lifeworld design. Social networking has long since ceased to be the primary digital characteristic of generations Y and Z. The baby boomers, i.e. today’s 50- and 60-year-olds, are at least equally keen on social media brand experiences. In other words: it’s well worth taking a very close look, getting a sense of milieus and their dynamics and consequently formulating the one original, creative idea that can evolve into a strategy, which AI can then work its magic on with the infinite power of its algorithms. 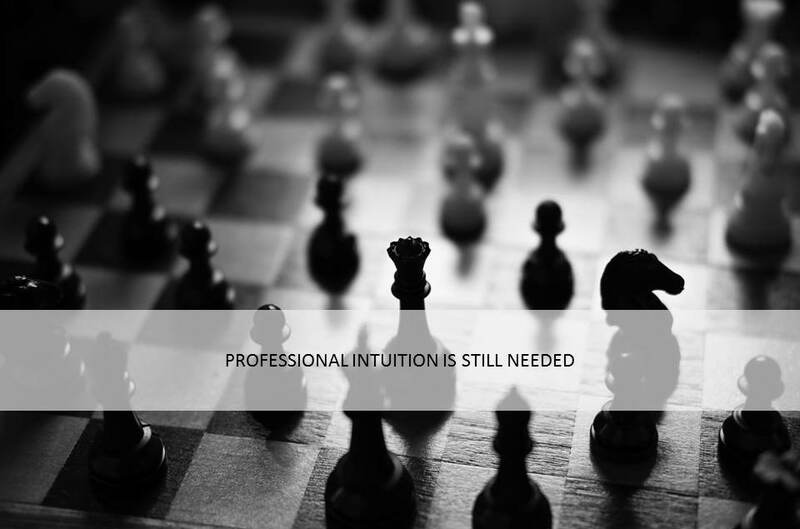 Especially in luxury marketing, there’s no way round the qualitative decision-making skills and “brain” of the professionals. But how does such a “brain” perform in a direct comparison with AI? In order to find out, WHITE recently partnered with a client to conduct an AI field experiment in programmatic advertising: a campaign with the same budget, but once with and once without AI support. 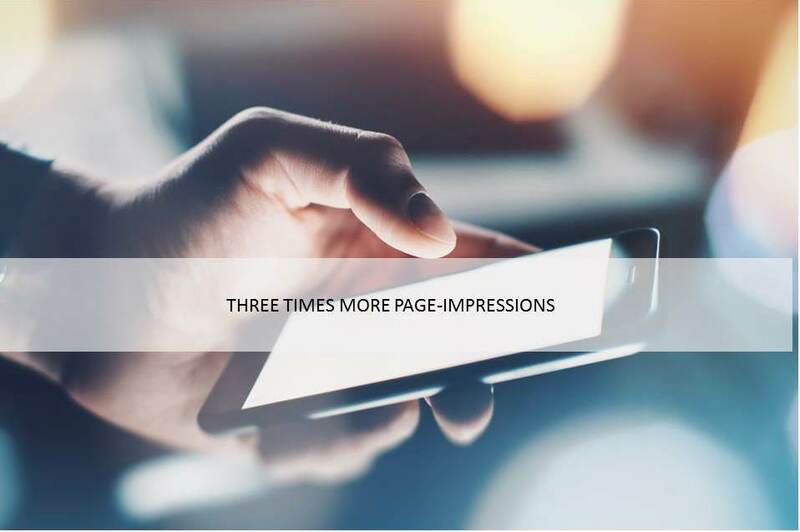 The result: with AI, the programmatic advertising achieved three times the amount of page impressions, and thus also significantly more clicks. However, the AI system had to go through its “learning phase” first, which meant gathering data for its ongoing optimisation. During this time, our “manually” steered campaign without AI averaged slightly better click and conversion rates. Based on its own experience of the market, WHITE had used “empirical” targeting from the word go and was therefore able to address the “right” users quickly and accurately right from the start. The learning from this field experiment: artificial and “natural” intelligence can certainly be an attractive combination if the latter is based on experience and knowledge, in which case this approach is state of the art both creatively and technologically speaking. AI campaigns work if they are based on genuine knowledge rather than assumptions and hypotheses. This is the essential foundation for self-learning systems, which derive their benefits from continuous optimisation and adaptation to changing social and economic conditions. It can be measured by e.g. click rates (CTR), by precisely tracked coverage or by conversions and lead generation. That all sounds very complex – and it is! However, the clever combination of human and artificial intelligence makes this complexity manageable and controllable. 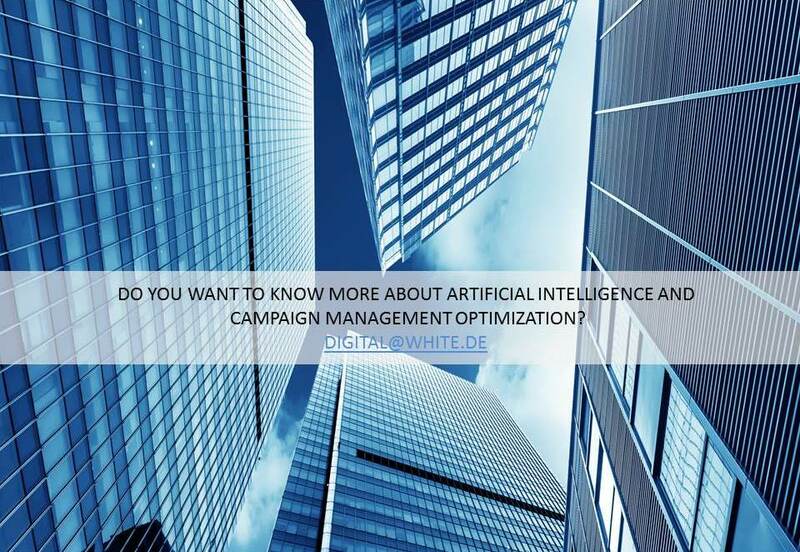 When based on original, creative ideas from professionals, data analytics in combination with programmatic advertising can take AI campaigns to a new, higher strategic level. The logic behind it: advertising and marketing pay off – for those who are prepared for anything thanks to high-performance systems and digital reasoning. Although AI cannot replace thinking and creative conceptualisation, it can provide tools and capacities that turn intelligent campaigning into a whole lot of thoroughly analogue fun.